This isn't to say that this approach is necessarily wrong, but the de-mythologicisation of magic transforms magic into mere spectacle. Like in Jim Butcher's Desden Files or Larry Correia's Grimnoir Chronicles, magic becomes a tool to be used to solve problems, no different from a gun or knife or hammer. The 'lifestyle magic' enamored of isekai manga reduces its utility further to super-convenient detergent. The employment of magic in these stories is simply about selecting the right tool and the right deployment method for the job at hand. What awe and wonder that comes from this method of magic stems from mere spectacle -- a contest to see whose magic is more visually impressive/destructive/useful -- or a creative use of the rules of the magic system to employ previously unknown effects. The de-mythologicisation of magic shrinks magic to fit the minds of mere men. But the awe and wonder in magic, and in the fantasy genre in general, is about the opposite. It stems from men expanding their minds in an attempt to apprehend phenomena that they can't explain or comprehend. It comes from hinting at a metareality with laws and undercurrents that run deeper and stronger than the physical plane the reader is familiar with. It is about recognizing concepts and values much greater and far-reaching than the individual, and, armed with this new knowledge, re-evaluating one's place in the world. It is about what might be so, if the rules of reality were slightly differently. If you would discard mechanical magic and embrace the potential for myth, you must leave behind the mechanistic pseudo-engineering approach of modern fantasy, and look deep into the literature, mythology and folklore of the distant past, a past where magic carried a hint of fire and brimstone, where the Fae existed just next door to this world. Based on my own explorations, I've found four critical elements to make magic mythical again. Scarcity plus demand equals high value. This is a principle that holds true for storytelling as it does for economics. In a world where magic is commonplace, its perceived value is relatively low. To the inhabitants of the world, magic may be as valuable as a bar of gold or a bar of soap, a well-made sword or a highly portable shield; to the reader, magic is seen as part of the background of the world, no more remarkable than a sports car or private plane would be in the First World. Magic is seen as an inherent part of the world. In a setting where magic is scarce, the deployment of magic is a watershed moment. In such a story, the reader will be exposed to chapter after chapter of prose that lays down the baseline for the story world -- society, culture, technology level, physical laws, and so on. The appearance of magic upsets the laws of mundane reality and forces the characters -- and the readers -- to observe events with fresh eyes. It points to a deeper and higher level of reality, whose understanding is limited only to an elect few. 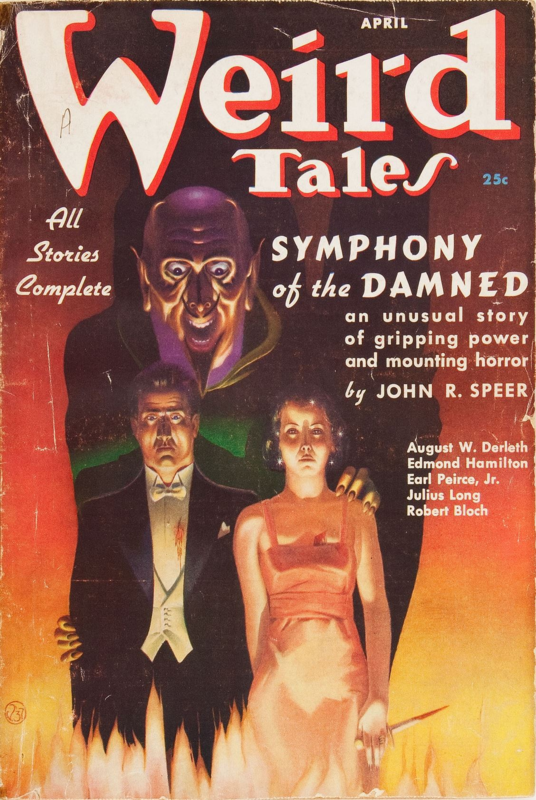 In old pulp works, magic was deliberately scarce or low-key. In the words of Robert E Howard, magic was usually limited to a ritual that served as the climax of the story, an artifact that grants a certain boon to a character without making him n overpowered titan, or a singular act that advances the story. C. L. Moore's Black God's Kiss places Jirel of Joiry, an archetypal warrior-woman who is nonetheless a mere mortal woman, in an otherworldly realm; there are no displays of magical fireworks, rendering the sole act of deliberate magic, the titular kiss, an unforgettably impactful moment. If magic were everywhere, it would not be valued. But if magic were limited to the arsenal of a select few, it becomes the stuff of legends. Modern fantasy stories starring spell-slinging magicians must lay down the rules of magic. It places limits on what the magicians can do to prevent accusations of deus ex machina and overpowered magic. The reader must be informed of the limits of these magicians, of how the spells work, and in so doing, in their minds magic is reduced from mystery to mechanics. To re-mythologise magic, you must preserve the mystery. Do not explain how magic works to the reader. Do not explicitly place limits on what magic can do -- instead, limit the appearance of magic and magic-users. Characters skilled in magic must be exceedingly rare and show up as little as possible, and go away as soon as there is no longer a need for magic. Neither the viewpoint character(s) nor the reader should have a complete understanding of how magic works. A work of fantasy lures readers to a world much larger than themselves, than individual characters. Magic is an element of that metareality. To preserve this sense of scope, magic must by necessity be beyond the understanding of mere mortals. Every glimpse of magic should feel like a privilege, a veil being drawn back to reveal a tiny slice of truth, while leaving the rest of reality shadowed in mystery. By maintaining mystery, the reader will be struck by his ignorance of how the world works, and more fully appreciate what little he was seen. In trying to puzzle out the nature of reality in that story, the reader is transformed from passive consumer to active seeker. Indie Metroidvania game Hollow Knight relies heavily on this truth. While the titular Hollow Knight can use some magic, the nature of magic isn't revealed. All the player knows is that they require the use of SOUL, a mysterious essence gathered by striking enemies, but otherwise not explained. At the same time, other enemies may use magic and abilities unique to themselves, and there is an entire research lab dedicated to the study of SOUL (which doesn't tell you what it is). Players aren't explicitly told what SOUL is beyond some kind of life energy; they only see some of its potential effects on the world, preserving the mystery of magic. The entire world of Hollow Knight itself preserves the mystery of its lore and history, forcing the player to trek to the distant corners of the land, talk to characters, and piece together clues to understand the history of Hallownest. Magic of the mythical kind is unknowable, otherworldly, ethereal. It comes from the blue, strikes like lightning, and vanishes without a trace, leaving all witnesses awestruck. Modern fantasy magic tropes have given readers a picture of what to expect from magic. Balls of flame, bolts of lightning, sudden blizzards, and so on. These magic systems obey a well-defined ruleset, and their effects are predictable and manageable. Mythic magic is the opposite of that. It is a chaotic upheaval of the established order, the rewriting of the rules of nature, the manifestation of the uncanny and the unknown. It is so little-seen and so little-known that the common man cannot know it -- only know of it, and fear it. Mythic magic is subtle. This could mean low-key effects -- an amulet that mysteriously causes fortunate events to happen to the wearer, a key that unlocks all locks simply by inserting it and twisting it -- that are useful but don't turn the wielder into a powerhouse. Or it could work by mechanisms that are unknown to all but the divine, the infernal, and those who study it: a permanent glamour that prevents all people from interacting with the wielder, fog appearing out of thin air, strange weather phenomena. By being unknown, it is not bound by mechanistic rules; by being free of rules, it cannot be studied or predicted by outsiders. Whatever effect this magic has, it is decisive. Once employed, it cannot be stopped (at least, without great cost), it cannot be predicted, it cannot be understood. Its appearance shapes the story at a critical moment, and it is gone. In Jack Vance's Dying Earth stories, magicians are limited to a set number of spells, which they must memorise well in advance. These spells, while powerful, can only be used once, and are instantly forgotten. To re-use the magic, the magician must memorise the spell again. The exact nature of the magic is unknown -- even the magicians do not know how it works, only that it does -- but once employed, its effects are immediate and decisive -- and fade into the night. In the real world, this can be seen in high-level koryu, like this video from James Williams. It appears as if the attacker were about to strike Williams and Williams is moving to block, but in an instant Williams moves and the attacker falls. Until and unless the mechanics of the maneuver were fully explained and broken down, to the observer it is just like real magic -- subtle but sharp. By being sharp, mythic magic leaves a powerful impression on the reader; by being subtle, it preserves the mystery and deepens the memory of the sight. Mechanical magic reduces magic to the level of men. Mythical magic conveys men to a phenomenon greater than themselves and far beyond their level of understanding. It is like walking towards a distant mountain; you see only the snow-covered peaks and the majestic slopes, and as you approach it, it looms larger and larger, so large it dwarfs you long before you even arrive. The needs of a story may require some explanation of how magic works. But fight the temptation to explain everything. There should always be a gap between what the reader knows and the truth of the world. What little you feed the reader should be just enough to advance the story while still preserving the mystery. The more the reader knows, the more he begins to comprehend the vast gulf of ignorance separating him from the full truth -- and the more he realizes that his tiny, limited mind is incapable of understanding the truth. The sum of the reader's knowledge may increase as the story progresses, but when graphed it should take the form of an asymptote, ever-increasing without quite arriving at full comprehension. A great example of this principle is H. P. Lovecraft's At the Mountains of Madness. The protagonist is a man of science, well-versed in geology and not ignorant of other physical sciences. Even so, he is barely capable of beginning to understand the strange happenings surrounding his ill-fated expedition to Antarctica. In his explorations he discovers evidence of elder civilisations living in the mountains, but the more he learns about them the more he realises what he doesn't know about the world. When he comes to the unnameable horror at the end of the tale, he simply refuses to describe it. The reader isn't informed of the monster's nature or appearance; he only sees its effect on the narrator, tries in vain to compare it to the other sights he has seen, and is left speculating on what the horror must be. In this gap between the reader's knowledge and the reality of the story world lies room for awe and wonder. I am not in principle opposed to stories with mechanical magic systems. However, with even the supernatural reduced to fit the comprehension of mere men, such stories tend to be about human concerns and conflicts. Stories where myth manifests as magic point to deeper truths and higher realities than this, opening vistas of possibilities and inspiring awe and wonder. The best modern fantasy with mechanical magic systems tend to be exercises in spectacle and one-up-manship. The worst are hollow and empty of greater meaning. If you want fantasy stories that touch the hearts of readers and point to higher truths, make magic mythical again. If you'd like to see what magic granted by gods and demons look like, check out my latest novel HAMMER OF THE WITCHES.